Welcome to this weeks Letter from America by Irene Parker, it is appropriate that today on this special occasion in the US we publish our Veterans “Nightmare on Timeshare Street”. You may also be familiar with some of the names, as we have published their stories in the past. Yesterday America mourned the loss of 41st President George H. W. Bush. We pause today to remember Pearl Harbor and all veterans and active duty service members. Tom E. (Tommy) Unger was my best friend and fellow Rotarian when I lived in Hawaii. The picture above is from his book, Max Schlemmer, Hawaii’s King of Laysan Island. I can think of no better way to honor my friend than to promote his book about his grandfather, a whaler and later a superintendent of a guano mining operation on Laysan Island, one of the Northwest Hawaiian Islands about 800 miles from Honolulu. I wrote Never Forget and then remembered Tommy’s book. I dug it out of the bookshelf and read his inscription, “To Irene and Don – who gave me a midnight ride to the hospital. Dear friends I shall never forget. Aloha, Tom E. Unger. This happened after a couple martinis did not sit well with Tommy’s heart medication. It felt like Tommy answered me. Tommy grew up across the street from Roosevelt High School, becoming one of Roosevelt’s star football players. Following in his footsteps, grandson Max Unger plays NFL starting center for the New Orleans Saints. Inside Timeshare has heard from 86 veterans and active duty service members who have described astonishing accounts of unfair and deceptive timeshare sales practices. Several of the veterans are disabled. Below I list five Agent Orange veterans, including Leo Gomez who passed away at age 72 in November, battling pancreatic cancer and his timeshare contract. I think of Leo often given the number of times I talked to him the last month of his life about his timeshare. The company responded that I am a “self-styled” so-called, third party (not an attorney) “advocate” with “clients” who purports to assist members in exiting their contract. I am a human being with a conscience, who is incapable of hanging up the phone when a distraught fellow human being contacts me in distress. It’s called having a soul. Listed below are five Agent Orange exposed veterans who have contacted me, describing extraordinary accounts of deception, perpetrated by timeshare sales agents. Timeshare company representatives will call their accounts allegations. I don’t. Based on a volume and a pattern of complaints, I believe war heroes over repeat offender timeshare sales agents. This volume and pattern of complainants together I believe establishes and overcomes the “you have no proof” denials offered by the companies purporting to care about their customers, and some regulators, together allowing deception to continue unchecked with “You have no proof” auto-denials. I want to also thank Whistleblowers of America for supporting our efforts. They included our timeshare report at the Joint Committee on Veterans Affairs March 14, 2018. Please remember WoA this Holiday season. Although WoA recognizes that it is not inherent within the VA mission to protect veterans from fraud and scams that could cost them their benefits, it suggests that it could be assistive in educating veterans against these unscrupulous tactics. For example, WoA has had multiple complaints from veterans related to timeshare deceit and bait and switch tactics, which are defined by the FBI as fraud for profit. Often elderly veterans are mentioned as being targeted by the Timeshare Advocacy Group™ which fights for active duty and retired military who fear losing their security clearance, career, homes or other assets. Foreclosures and financial distress because of these misrepresented investments are happening every day to elderly disabled veterans and their families. In the past, VA has cooperated with the Consumer Financial Protection Bureau (CFPB) over mortgage and other loan scams that caused financial hardships for veterans. Home loans and timeshare loans are identical as both are reported as foreclosures. WoA asks that Congress consider a role for the VBA Employment and Economic Initiative (EEI) could play in cooperation with CFPB to educate and protect veterans from unscrupulous financial predators and fraudulent practices. Mr. David Althage is the 5th Agent Orange exposed veteran harmed by timeshare. We are currently reaching out to the company hoping they will help Mr. Althage. My name is David Althage and I am a veteran of the Marines. I served from 1964 to 1968 and ended up as a Corporal E4. I spent most of 1965 and 1966 in Vietnam and my specialty was machine gunner which I did on the ground and also as the door gunner on helicopters. I was wounded twice and I have also suffered from the cancerous effects of Agent Orange on my skin. All of that seems a lifetime away as my wife and I have been settled for many years in Missouri. These days I repair mobile homes for work, and I keep going at this even though I am now 73. I do not have retirement or a pension. I only have social security. #3 100% Agent Orange disabled, Purple Heart, shot in Vietnam, company resolved the timeshare dispute. #4 Danny Wolfer, up-sold by a timeshare sales agent we have received 20 complaints against. Mr. Wolfer is 100% disabled, issued a $170,000 IRS 1099 due to timeshare foreclosure. Danny’s son contacted us about the 1099 after his dad had been foreclosed. We helped him resolve the IRS liability. #5 Leo Gomez, earned two Purple Hearts, with one month to live, battled pancreatic cancer and his timeshare – Sadly Leo passed away November 9, 2018. Thank you to all service members, especially those who have sacrificed their life and health, to protect even those who seek to do them harm. If you have a timeshare story, positive or negative to share, contact Inside Timeshare. We know there are many honest sales agents who have sold timeshares to many who use and enjoy their timeshare. We are not disputing that. One former sales agent and executive is Wayne C. Robinson, author of Everything About Timeshares, Before, During and After the Sale. Wayne is himself a Navy veteran, a former Navy journalist, and now a champion for those who feel they have been harmed by unfair and deceptive timeshare sales practices that Wayne witnessed during his timeshare career. Please consider Wayne’s book on your stocking stuffer list. It’s the perfect size! If you have any comments or would like to share your “Nightmare on Timeshare Street”, please use our contact page, Inside Timeshare would love to hear from you. Welcome to this weeks Letter from America, today’s article is all about heirs inheriting your timeshare, with the introduction by Inside Timeshare’s very own Irene Parker, with contributions from Tom Tubbs of Island Consulting Realty and Mike Finn of Finn Law Group. This article will not only be of interest to our American readers but also to our European contingent. But first Europe, news came in late yesterday of another High Court ruling from Tenerife against Silverpoint. Following a ruling against them at The Court of First Instance, Silverpoint appealed to the High Court. This court reaffirmed the previous courts verdict, consequently the original verdict has been upheld. The clients contract has been declared null and void due to lack of tangibility (a previous judge described it as “a bag full of smoke”), the client has been awarded over 24,000€ plus legal interest. Again this is a case brought on behalf the client by Canarian Legal Alliance, these lawyers are just going from strength to strength. After the article published yesterday about the “FAKE” law firm in Tenerife using the name of Mindtimeshare, another reader has sent in the following information on Abogados Litigación España and JDD Juan Drimals Deolaro, which we highlighted on 22 October. SEPA Credit Transfer is supported. SEPA Direct Debit is supported. SEPA Instant Credit Transfer is supported. Now on with today’s Letter from America. Are Timeshare Developers the Pot Calling the Kettle Black? The Heir Scare – The Same Scare Provided by a Timeshare Sales Agent and a Timeshare Exit Company Sales Agent! The member, especially if a senior, is browbeat, told they have to give up their timeshare deed or they will be the last man standing, left holding the maintenance fee bag. Often the mostly bogus reason provided is that your heirs will be responsible for a deeded timeshare but not for non-deeded timeshare points. To all those inquiring about your heirs being saddled with this albatross: I have been a practicing estates lawyer in NY for nearly 50 years. The information given to you by Laura (I believe her name was) was basically correct: your beneficiary cannot be “forced” to inherit (and therefore have to pay for maintenance etc.) for the timeshare. The legal route is to execute a disclaimer within 9 months after death, and make sure that you do NOT accept the timeshare by using it or otherwise indicating acceptance (e.g., trying to sell it as if you own it). However, each state has its own laws as to how one disclaims. ……Note though: the (resort) can then also disclaim it, so there are some further fine points legal steps that must be implemented in your Will or trust to deal with that possibility. But most definitely your heirs are NOT bound to accept the timeshare and make the payments if a proper disclaimer strategy is included in your estate planning documents. stevenw on May 02, 2017 06:01 PM. This is a complaint I read perpetrated by a timeshare sales agent falsely telling a deeded owner that she had to give up her deed or her heirs would suffer. Inside Timeshare previously published this account by Phyllis, age 67. She ended up representing herself in court and negotiated a lesser amount with the credit card company arbitrator. Following this scare offered by a timeshare sales agent, is the identical scare offered by a timeshare exit company sales agent. I feel I am a victim of fraud. I was asked to attend a breakfast to talk about upgrades on a timeshare I own. I was told it would last only 55 minutes. 4 highly pressured sales people took turns on me and held me for 7 hours, bouncing me into 3 different rooms. I told them I didn’t want it and that I already owned the timeshare over and over again. They said I have to buy into the new and I own my timeshare for ever, and that I could never get out of it. They said my Monarch timeshare went bankrupt and I had to invest with them or they would go after my children for payment. I had a panic stress disorder attack. I was tired and hungry. I was tired. In order to get out of there I signed under dearest. I am a senior citizen 5 feet tall women and he is a 6 feet tall man standing over me stating he was a child of GOD and he can help me then said to me “I am a friend I can tell you the best thing to do only if I signed”. He added the BANK CREDIT CARD. I was misled to only use the card for shopping that my points would go up and maintenance fees would go down. I never received the card. I never used the card. Now I have a trial date May 8, 2018 to pay their lawyers in the amount of $3446.04. I received a letter stating the timeshare went into foreclosure. Since the timeshare and the bank are together I should be out of paying the bank as well? I need help. Could someone give me advice? Can I get someone to go with me and represent me? I am afraid and stressed. Please email me on what I can so as soon as possible. Thank You. Louis S called me and said he was with US Consumer Attorneys Group and that he was calling about my timeshare. He was aware that I was a Diamond owner and that I owned at Ka’anapali Resort. He sent me a copy of their contract and said I needed to pay him $2900 to get out of the contract. He said he is an attorney with US Consumer Attorneys Group. He said Diamond was going to take my house and my children would be responsible for paying all Diamond debts and that they would even attach my wages. He said Diamond would also take my Social Security payments and my retirement. I have not paid my Diamond maintenance fees for about three years. I wanted to deed it back to Diamond but they would not take it back when I was not behind on maintenance fees. I tried to sell it but no one wanted it. Thank you once again Tom Tubbs for this important year end warning. Hi Folks. So last week we warned you about “Exit” companies and this week we’re giving you a little bit of a different take on them. Why? We don’t want to beat a dead horse but it’s important that you do not fall victim to this. This time of year is when these companies get more aggressive in that they know your maintenance fee will be due soon and it’s a prime opportunity for them to pick your pocket. But first….Just what is an “Exit” company? Well, these are the folks who “create” a problem that does not exist. This is a very common sales tactic with just about anything out there for sale or service. With timeshares, these companies create the VERY false impression that your timeshare is actually a burden instead of an asset. They give you the VERY false impression that you can’t sell it (although that’s what we’ve been doing for folks for the past 33 years….) and that when you die your kids will then be strapped with it (also false). Then they have a solution! (Of course!). Give them $3500 plus the deed to your timeshare and they’ll get you out of it. What great guys! So in a nutshell what you have here is a company creating a problem for you that minutes earlier you did not know you had, and then solving that problem for you by you giving away your timeshare and your money! Problem is, for many of these companies it’s all one big fat lie; as the following story will tell…. ORLANDO, Fla. – Lisa Eller, a timeshare resort customer for 18 years, is convinced American Consumer LLC never intended to negotiate an exit from her resort contract despite promises from then Chief Operations Officer Cory “Hubb” Hubbell, that he could get it done. Eller and her husband agreed to pay $2,350 for the program but just this week discovered no one from the company, aka A Consumer LLC, ever contacted her resort. A review of state records shows Saracco was the registered agent for American Consumer Credit LLC along with another 12 companies all linked to the same manager: Dana Micallef. Micallef started the company in 2011 and, according to state records, lives in Daytona Beach. Still, it appears he has been calling customers from a New York area code. Rebekah Nelson hired the company last September and agreed to pay $2,800 to get a release from a timeshare in Vista, California. Nelson told News 6 a man she believes to be Micallef, asked her to wire $700 to continue the contract. “They block the consumer from talking to the timeshare so you don’t know (American) is not doing their job,” she said. Nelson is convinced there are dozens of victims who fell for the same scheme. “When you enter into the contract termination process with Aconsumercredit™, we start to permanently remove your timeshare contract burden. No more fees. No more payments.” Nelson said she was told to stop paying her timeshare fees and that is when her credit was ruined. How Can I Eliminate my Timeshare Liability for my Heirs? Thank you to Irene, Tom and Mike for your contribution this weeks, we are sure this will be of great interest to all timeshare owners on both side of the “Great Lake”. If you have any questions or comments on any article published, please use our contact page and get in touch, we welcome your input. If you need to find out about any company that has contacted you or you have found on the internet then get in touch and we will help you find out if they are genuine and trustworthy. Friday is upon us and the weekend beckons, we hope that you all have a great one and just relax, join us again next week for more on the murky world that is timeshare. Welcome to this week’s Letter from America, today Irene Parker gives us a report on the 3rd Quarter of Timeshare Advocacy Group. We have also received the following from one of our very concerned Anfi members and readers, this was posted on the Anfi Contracts facebook page. It would appear that there is some grave concern as to where large amounts of money have gone and members are calling for an explanation. Ahead of Monte’s general assembly in November, an important issue needs to be clarified. In the accounts published last year, Monte’s two main debtors were, at the end of 2016: Anfi Resorts (the operational company) with an accumulated debt of €1.897.858, and Anfi Sales (the sales company) with an accumulated debt of €1.854.918. In the accounts presented this year, Resorts are listed with €0 in debt, whereas Sales’ debt has increased by €20.000 to €1.874.755. Meanwhile, a new post has appeared: post 12, called “present investments” (translated from Norwegian), with a total of €1.456.093 at the end of 2017. These investments represent €441.765 less than Resorts’ accumulated debt at the end of 2016. At the general assembly, the club members should be entitled to an explanation as to the whereabouts of this money, and be informed about where the “present investments” have been invested. Well all we can say is we will be watching this story as it unfolds with the November General Assembly. Now for this week’s article. Timeshare Advocacy Group™ has heard from exactly 600 timeshare families as of September 30, 2018, since we began tracking complaints in 2017. We received a total of 267 reports from families for all of 2017, so 333 families for the first three quarters of 2018 is a dramatic increase. We anticipate an upswing fourth quarter when maintenance fee invoices go out. We have already received 21 new complaints from October 1 to October 10. Not one member who contacted us was aware of the inadequate secondary market until hit with a medical or financial crisis, like Ashley Muise our newest Inside Timeshare contributor. Ashley’s baby was born needing two open heart surgeries. Adding a timeshare loan foreclosure on top of that kind of stress has driven many families to despair. Most of our senior readers maintained an 800 plus credit score for 30 plus years, now forced to endure the demeaning timeshare foreclosure process. I would not make a good timeshare customer service representative because I am moved by their distress. Our standard disclaimer is that we know there are millions who bought and use their timeshares with no complaints. Timeshare buyers blessed with an honest sales agent should not demean or judge those who say they experienced unfair and deceptive sales practices. This the message one timeshare company sent to their members. No they don’t have your best interest at heart. If the timeshare company had your best interest at heart, why do they almost always respond, “You signed a contract” when members complain about being lied to. They have their bottom line’s best interest at heart. The timeshare developer doesn’t want anyone to stand in the way of their “recaptured inventory” process. Timeshare company annual reports list a secondary market as a risk to shareholders. We are as much against timeshare exit companies as the developer, but given the “Hear no evil, see no evil” response from the industry as to the obvious deceit perpetrated by timeshare sales agents, it’s hard to feel sympathy for the timeshare developer plagued with “cease and desist” letters. They say their members are being “targeted” when in fact members are desperate and turn to internet key words for help. The Florida Department of Business Practices and Regulation (DBPR) advises members to call a lawyer – referring them to what amounts to be a lawyer phone book of sorts. More than a few times the member ended up with a lawyer who doesn’t know what they are doing because they don’t have timeshare experience. The lawyers get paid, and then we end up helping the member for free. Members have reported back to us that The Nevada Real Estate Division has responded to all but a few complaints with “You have no proof.” It is legal to record a meeting without the other party aware in Nevada. In Nevada members need to record the sales presentation. The Florida DBPR, responds, “Verbal representations are hard to prove,” but Florida is a two person state, meaning both parties need to be aware of the recording of an in-person meeting. Members are not allowed to take handwritten notes from the sales agent, so I don’t know what proof anyone could produce. Tell them you will record. If they say no, forget the gift and leave. If you will be charged something if you leave, painstakingly write down every word the sales agent utters. Only two out of 600 complaints have members recorded. The first to record had their contract cancelled in a heartbeat. The second, even with the recording, has had to fight tooth and nail. She has received a full refund from the credit card company, their entire purchase, but the timeshare company is still not releasing her from the contract! Timeshare members seek straight answers, which our advocates provide free of charge from England to Malaysia. Our 44 advocates are professionals who bring their skills and life experiences to the table, volunteering their time to help answer members’ questions. Pete Gibbs has volunteered to be our Secret Shopper coordinator, replacing Karen Garello. Thank you to Karen for her past service. First, Sheilah was told the company didn’t know if she obtained the pencil pitch without the sales agent knowing. When she pointed out how preposterous this defense is – while the pencil pitch is incriminating, it is inadmissible if she took it on her own! The next defense, the Florida AG timeshare reviewer told her that she didn’t understand the pencil pitch either until she talked to the company’s attorney. So how, Sheilah asked, would anyone understand this convoluted, sleight-of-hand explanation of the ability to pay maintenance fees with points? No such program exists? Frustrated, Sheilah designed a T Shirt that we hope to sell to raise money for a legal defense fund, as has been suggested. We have several 100% disabled veterans and members with grave medical decisions driven to financial disaster, some driven to the verge of bankruptcy. We have a five member committee to account for receipt and disbursement of funds. As of now, we are in the preliminary proposal writing stage. We are working out the mechanics of a Go Fund Me account. We will suggest buyers contribute $5 from every T Shirt to the legal defense fund. Thank you to all our Inside Timeshare contributors and upcoming new contributors. Contact Inside Timeshare if you, or someone you know, needs assistance or would like to share their timeshare story for the benefit of others. That is all for this week, if you have any comments or would like to contribute an article use our contact page and we will get back to you. Welcome to the last Friday’s letter from America for August, this week Irene Parker reviews the similarities between victims of the Catholic Church and Timeshare victims, it looks at how speaking up can make a difference. But first a couple of items from Europe. This address is actually an apartment block, no sign of any office in the street. The company was registered on 24 October 2016 with the administrator being one Victoria Hughes and the secretary one Caroline Elizabeth Docker. It appears that they use OPC’s on the street with the ubiquitous scratch cards to lure holiday makers into a presentation. This will involve several hours of high pressure sales to get you to part with a significant amount of money for a membership to another dubious “discount holiday club”. This can only be accessed once you have joined and received your code and membership, there is also a £75 a year administration fee. Now the name of this company reminded us of another several years ago called British Travel based at the Centro Comercial Fañabe Plaza, which is also the base for Monster Travel, Sell My Timeshare and other Mark Rowe enterprises. The director of British Travel was Paul Hughes, which was also a “discount holiday club”, but was pitched as a travel agency, where you could get discount from 25% to 80%. Obviously Victoria Hughes is more than likely his wife and is now the front for this company, we also know that Caroline is linked to paul as they are facebook friends. So beware the ticket touts and the offers of great discounts! We have also been informed by one of our regular readers who had dealings with the fake law firm in tenerife, Legalidad Abogados, part of the Litigious Abogados family, of another email being received about his court case against Diamond. This has caused us a great deal of hilarity, the case was supposedly heard on 24 July 2018 and the director of Diamond Resorts International pleaded guilty, just like all the timeshare directors in these cases from this fake outfit. You will never believe who they named as the director, MARK ROWE! Well we all know that Mark Rowe is not a director at Diamond, he runs his own little empire featuring Monster Credits, Rewards and Travel, Hollywood Marketing and off course ABC Lawyers to name but a few. So if you are reading this Mark, congratulations on your employment at Diamond and what a shame you ended up in court! There are many good Catholic priests, sisters and nuns, especially Benedictine Sister Joan Chittister of Erie, Pennsylvania, speaking out on what has been the pervasive Catholic culture of institutional cover-up. Pedophilia, the abuse of children, has finally unmasked for all to see the operational principles of an organization that has been able for years to ignore, reject– even disdain–the cries of multiple other groups of the ignored and abused. Something clicks inside a victim when they have had enough. Some timeshare companies employ the same tactics as the church. As timeshare members alleging fraud read through this, they will have no trouble seeing similarities. I advocate on behalf of timeshare members alleging fraud, alongside 44 Timeshare Advocacy Group™ advocates. A life’s journey can take many twists and turns. My life changed dramatically after a trip to Peshawbestown, Michigan to meet with tribal spiritual director and peacemaker Paul Raphael of the Grand Traverse Band of Ottawa and Chippewa Indians. Peacemaker Paul was one of nine male children who attended the Holy Childhood School of Jesus in Michigan where Indian boys were sexually abused by three School Sisters of Notre Dame nuns in the 1960s and ‘70s. I contacted him after reading a four part article about the abuse. By part four I was livid. Grand Rapids Michigan investigative reporters met with Sister Laura Jean Spaeth of the School Sisters of Notre Dame in Milwaukee. Sister Spaeth was skeptical about the credibility so the reporters interviewed a total of 80 former students to verify the abuse. In 2008 I was practicing for a pipe organ exam at the cathedral for an American Guild of Organists exam. Patrick Cooney was Bishop then. Stunned after speaking with Peacemaker Paul, I wrote Bishop Cooney a letter asking if I could arrange a meeting. Peacemaker Paul resisted saying, “How will that help us?” I said it wouldn’t but it would help the Bishop because he cares and hearing directly from Peacemaker Paul could possibly help Bishop Cooney stop a potential abuser. After experiencing a timeshare bait and switch, I wrote to ARDA, The American Resort Development Association, explaining my concerns. I thought they would be grateful someone brought criminal actions to their attention. I did not hear from ARDA except for an auto-reply. Approximately 200 allegations of fraud have been sent to ARDA over two years – and no response. ARDA does not mediate disputes, but they have a code of ethics that is being violated, based on member reports. According to Dr. Amy Grant, University of Central Florida, who presented at an ARDA World conference in 2017. Victims need to file regulatory complaints, lobby lawmakers and reach out to the media. I attended a Catholic conference where victims and clergy met to address the problems. It is only through the courage and fortitude of the Sister Chittisters of the world, change happens. It is unclear if the Pope or ARDA have really accepted the reality of Social Media because victims no longer need be silenced and isolated. This article does go to show that only by speaking up and working together can any real change happen, these cases of abuse, although very different in nature, in the church and timeshare have one thing in common, both want you to remain quiet and say nothing. That’s all for the month of August, the courts in Spain are about to start hearing cases again so there will no doubt be some interesting news on the legal front. Also during September Inside Timeshare will not be publishing regular articles as I am on leave and spending some quiet time with a large family reunion. Have a great weekend and remember, any company that contacts you regarding your timeshare, do your homework before you do any business with them. Welcome to the Tuesday Slot, this week we have another “Nightmare on Timeshare Street”, involving another serving member of the armed forces, USAF First Sergeant John Kim, on his experience with Bluegreen. John is not the first serving member or veteran of the armed force or law enforcement that have been in contact with Inside Timeshare, all their stories are the same, with some likely to lose their security clearance and therefore their jobs. This “Nightmare on Timeshare Street” must end, not just for these people but also the elderly we have highlighted, but all consumers. The industry needs to get their act together and reign in the lies and untruths of their sales agents. At the end of today’s article is a report and a link to the breaking news that Bluegreen have had their stock downgraded by Bank of America Merrill Lynch. Apparently this is due to underperforming in the sales sector, well, what do they expect, the truth is getting out, new purchasers have heard the horror stories and are voting with their wallets. Yes folks, the timeshare industry really does need a severe shakeup or it will collapse! The website shows very little information regarding timeshare, the about section is to say the least, looking a little far fetched. It was registered only in September 2017, yet some of the testimonials go back to February 2017? According to the callers named as Lisa Reid and Emma Newton, a court case has already taken place against a bogus company the timeshare owner has had business with in the past (scammed). The court has awarded them a huge amount in compensation, even though the owner did not even know they had a case in court. As usual, to release this money a huge percentage needs to be paid by bank transfer to APS Bank in the name of Universal Consulting. This is obviously another “scam”, there is no company with this name registered at company house, there are no court cases where consumers haven’t instigated the proceedings and the courts do not operate in the way this company suggests. So beware these type of calls, if in doubt contact Inside Timeshare for further information on any company that makes contact with such claims. This company was first highlighted by Mindtimeshare. Now on with our main article. The Trump administration is planning to suspend routine examinations of lenders for violations of the Military Lending Act, which was devised to protect military service members and their families from financial fraud, predatory loans and credit card gouging, according to internal agency documents. The already weakened Consumer Financial Protection Bureau has taken the next step towards becoming the Corporate Financial Protection Bureau. Volunteer staffed Timeshare Advocacy Group™ has heard from 535 timeshare members, of which 70 are veterans or active duty members of the military or law enforcement alleging timeshare fraud. If an active duty member of the military falls for a deceptive timeshare sales presentation, the after effects can include the loss of his or her security clearance. This is due to a foreclosure being reported on their credit report. Sometimes this can also lead to the loss of a career. One Marine lost his security clearance and his air unit command due to a timeshare foreclosure. It is not uncommon for a timeshare foreclosure to involve amounts of $100,000 or more. Air Force First Sergeant John Kim made this YouTube hoping to warn others not to fall victim to high pressure same day timeshare sales and to encourage readers to become involved with others who face foreclosure. Travel, vacation and timeshare fraud reported losing the highest individual loss amount and the report also stated the median fraud loss reported by members of the military were more than 44 percent higher than the general population, a median loss of $619 compared to $429 for the general population. If a timeshare is sold properly, it is of great benefit to a family, but if the timeshare is grossly oversold in terms of being an investment, or being easy to sell, the decision to buy can spell financial disaster. Accompanied by annual maintenance fees and the lack of a secondary market, the buyer can find himself stuck with a timeshare they don’t want or can’t afford, facing foreclosure for the first time in their life. No one can guarantee a release from a timeshare contract. The foreclosure process is demoralizing and stressful. Scams abound, so do not pay anyone upfront money to get out of a timeshare without checking with Inside Timeshare or one of the self-help groups listed below. Air Force First Sergeant John Kim and his wife Glory, of South Carolina describe their battle with Bluegreen Vacations. John has joined TAG as a volunteer to advocate on behalf of other active duty service members, and to help guide disgruntled buyers through the regulatory filing process. Bluegreen points are an investment, like a mortgage. It was emphasized that we were purchasing deeded property (which it is not), so an investment. We have learned Bluegreen vacation points are a right-to-use product, like joining a fitness club. Managers assured us we were making a sound “financial investment” and in years to come, we would be able to sell our portion of Bluegreen for a profit because we would have a deed to Bluegreen Vacations properties. We could deduct the interest from the loan on our taxes, as you could with any mortgage. This was not true. Bluegreen previously reported nonpayment of timeshare loans as foreclosures, but no longer does so. Bluegreen and credit reporting agencies Equifax and Experian entered into a settlement in a class action lawsuit brought by the Finn Law Group on behalf of Bluegreen owners that resulted in 11,000 former Bluegreen members’ negative accounts being deleted from their credit reports. Bluegreen, Equifax, and Experian also agreed not to report foreclosures in the future for Bluegreen members. Some timeshare companies do report a loan default as a foreclosure. If you, or anyone you know has a timeshare concern, contact Inside Timeshare or a self-help group. Bluegreen Vacations Corp (NYSE: BXG) reported second-quarter earnings Aug. 2 that fell short of analyst expectations. Bank of America Merrill Lynch’s Shaun Kelley downgraded Bluegreen Vacations from Buy to Underperform and decreased the price target from $26 to $19. Total Q2 revenue of $195 million was beneath Kelley’s forecast of $208 million. Bluegreen reported 8-percent lower tours, while vacation ownership interest sales were up only 3.4 percent year-over-year when the analyst was expecting a 10.4-percent increase. Once again a very hard hitting story, it is obvious to everyone, except that is the timeshare industry, that change is needed, no longer should sales agents get rich by telling lies to gain a sale. The companies that employ them should be held accountable, it is no longer acceptable for companies to use the phrase “WE ARE NOT RESPONSIBLE FOR WHAT OUR SALES AGENTS SAY”, they are responsible, they are the employers, it is their product that these agents are selling! If you have any comments or questions regarding this article or any other published, then use our contact page, Inside Timeshare welcomes your input. Been contacted by a resale, cancelation or claims company, found one on the internet and you are not sure if they are genuine, then contact Inside Timeshare and we will point you in the right direction. Welcome to The Tuesday Slot, this week we publish another Veterans “Nightmare on Timeshare Street”, with the introduction by Irene Parker. 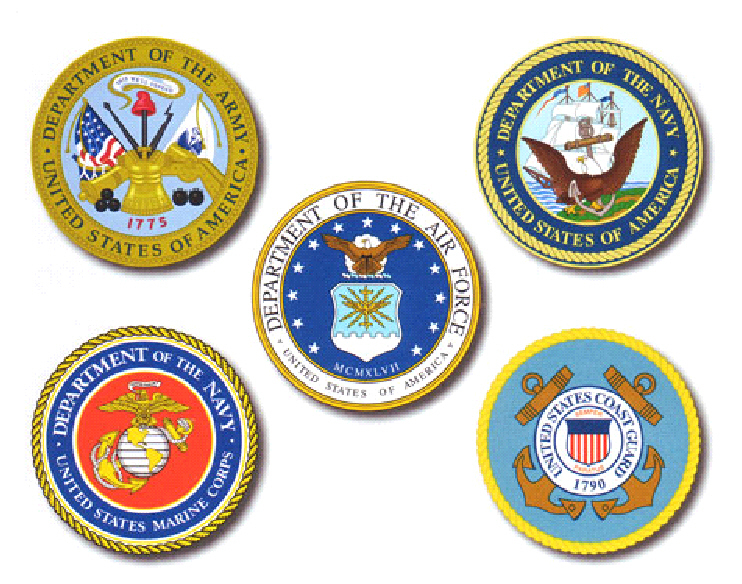 As with many of the other articles published on Inside Timeshare this is a story from the Veterans own personal experience, these stories have become all too familiar with us at Inside Timeshare, not just from Veterans but also serving members of the armed forces and law enforcement. But first some other news. It looks like Diamond Resort International have yet another legal action filed against them, this was filed by Labaton Sucharow LLP, on 23 July 2018, on behalf of their clients Local 705 International Brotherhood of Teamsters Pension Fund, under the Securities Exchange Act 1934. Once again this is a Class Action lawsuit, which others who may be affected being invited to join, further details can be obtained from: www.labaton.com. (See link below). There is another new name has come up on the radar, Martinez Notarias with lady called Victoria Holmes contacting consumers who had dealings in the past with our old friends Ramirez and Ramirez. She claims that they can recover along with compensation what the consumer paid, now the worrying aspect is she knows exactly how much was paid, which only leads us to conclude that she is either working with Ramirez or has managed to get hold of all his old records. We actually believe that she is working with Ramirez. Fax: 070 1197 2107 The code 070 is a personal number. Personal numbers allow a person or businesses to give out a single phone number, then redirect their incoming calls to different locations as and when they choose. 070 numbers can also be used as temporary numbers. For example, somebody selling a car through classified adverts could set up an 070 number to receive enquiries then disable the number after the car has been sold, rather than publishing their real home or mobile number. So this is not a very good sign! The website was only registered on 25 June 2018 so is only just over a month old, yet according to the website they have been established since 1973 and have over 40 years experience. The email they use is [email protected] which again is not linked to the website but is another free email provider such as gmail or yahoo. The address they give Calle Yamun 23, Edif. Ifuami, Oficina 328D, Santa Cruz, 38009, Tenerife, when checking this address on google maps, guess what, nothing comes up! It appears that this “Procurador” is also part of the Legalidades Abogados setup, (Litigious Abogados family). Remember unless you have instigated any legal action, any call to tell you that your timeshare company is about to be taken to court and you will be in for substantial compensation, it is all a lie, they are after your money and that is all. Now for this weeks article. Inside Timeshare reached out to Tahiti Village. I talked to a Tahiti reservation agent. He was very nice, explained Consolidated was bankrupt, and that we would need to contact Soleil Management as to their response to this article submitted by a Tahiti owner, who wishes to remain anonymous. The Tahiti agent took my information and said he would forward to Soleil. We did not hear back. Inside Timeshare can forward comments to this Tahiti member requesting anonymity. Nevada and the businesses and agencies operating within it have no intention to do anything about timeshare fraud, so I hope the court of public opinion will be more effective. Please Share my article on your Facebooks to let people know about timeshare business practices and to seek answers to questions you should ask before signing any timeshare contract. If you don’t, you may find yourself stuck in a timeshare trap as we are. I am writing this article to let people know about our Tahiti Village timeshare experience. I hope to warn other people to ask the right questions, so they don’t find themselves saddled with a timeshare they can’t get rid of. We made our last payment December 2017. I last heard from Tahiti Village in April. We have always had good credit, but now, as seniors, we face foreclosure. I retired from a ATT & T, so I understand customer service. Our experience with Tahiti customer service has been disappointing. When I wrote good comment cards, Tahiti would respond, but when I submitted our concerns, Tahiti ignored those comments. Tahiti Village has a Better Business Rating of A+ despite two of two negative reviews. We have been Tahiti Village timeshare members since 2008. We enjoyed our Tahiti experience for several years until 2015 when we were steamrolled into purchasing an upgrade. By 2012, things had changed. Once when we checked in, we discovered our unit was nasty, the carpets were worn, the couches ripped. One year there was a bad smell in the master room. They just sprayed deodorizer, which did not help. The next year the microwave did not work. As we were checking out they brought the microwave. This is what our maintenance fees are supposed to cover. Pressure to upgrade ensued. After one presentation, we felt like we had been held hostage after a four hour sales. We ended up upgrading from a fixed to a floating week with RCI. Since then, many things have happened that have turned what was a bearable irritation into an unbearable nightmare. In addition to seeing the fees rise, we now realize we were pressured into purchasing a timeshare product that we never really wanted in the first place. It is a timeshare product not worthy of what we are paying. My husband, a Navy veteran, served his country for 20 years. Our Armed Forces Vacation Club benefits far exceed this timeshare. We paid Tahiti our hard-earned money for a product that has never lived up to its billing and has been a source of much stress. The timeshare would be easy to resell, assisted by Tahiti. So, after 10 years of paying for a timeshare that we were told would appreciate in value, could be rented and could be sold for a profit, we are left disappointed and angry. You can sell a house, even with a mortgage, but it seems there is no way out of a timeshare trap. At times I stayed at Tahiti without my husband. If he was not with me I was treated markedly poorer. I felt that this is because they would always try to upgrade us if we were staying there together. When my husband was not with me, the customer service was worse, and the rooms were of a lesser quality. If we had a problem, even when staying together, reception would tell us they would look into our concern without ever doing so. One time,I asked for a first floor room because my daughter was on crutches and we ended up with the furthest room on the fifth floor. It seemed the only time we were treated with respect was when they wanted more money. This has been a source of irritation through the years, but not enough to warrant action. When I wrote directly to Tahiti Village Resort asking to be released from this timeshare, I received no reply. I wrote to Soleil Management. They told me that they were not responsible for any misrepresentations that may have happened at the presentations because they were carried out by Tahiti Village Resort and they were merely the managing agent. Tahiti Village Vacation Club also said they were not responsible for any wrongdoing. Why is the length of time we owned the timeshare be relevant if we always believed our timeshare was an investment that could be sold if need be? It wasn’t until we wanted to get rid of the timeshare did we learn we had been lied to. If you are in a dead-end relationship and your partner decides to go one step further and punch you in the face after 10 years, should you have no recourse? So far, we have filed a complaint with the BBB and had our complaint dismissed before any real dialog took place. The Nevada AG referred us to the Real Estate Division. We filed with the Real Estate Division, who said they could not help. In my opinion, Nevada, and the businesses and agencies operating within it, have no intention to do anything about this so I’m hoping the court of public opinion will be more effective. Please share my article on Facebook to let people know about our Tahiti Village experience and to warn potential buyers to do their homework before buying any timeshare. The public, especially the military, need to be aware that a decision to sign a timeshare contract means signing a contract in perpetuity, often with no secondary market. Maintenance fees have a tendency to increase, so the timeshare can easily become cost prohibitive, even when there is no loan outstanding. Attorneys General investigations and settlements are appreciated, but seem to be only financial speed bumps in the life of a timeshare company. There has been no federal enforcement. When a timeshare has little to no secondary market, even if you spend $100,000 or more, there is a good chance you might not be able to sell it or even give it back. Scams abound, promising to get you out of your timeshare or your money back. A few of these companies are legitimate, but several readers have reported they did not receive their money back, even when the timeshare returned to the developer due to foreclosure. Inside Timeshare has received timeshare complaints from 63 active duty and retired military and law enforcement personnel. Some of the active duty members are concerned about losing their security clearance due to timeshare foreclosure. Whistleblowers of America is an organization dedicated to seeking justice for veterans and Active Duty military. WoA presented a Timeshare Advocacy Group™ report to a Joint Committee on Veterans Affairs March 14, 2018. We hope lawmakers will wake up and do something about this. If a timeshare member is helped by our efforts, we encourage a donation to Whistleblowers of America. 601 Pennsylvania Ave, Washington, D,C. Thank you to our Veteran for their story, they also wished to remain anonymous, also thanks to Irene for the hard work you put in to edit and write the introductions for many of these articles. In Friday’s Letter from America we will be publishing the Better Business Bureau Timeshare Report, which also has some very interesting recommendations to the industry. If you have any questions, comments or even would like to have your experiences shared with others, then contact Inside Timeshare using our contact page. Have you been cold called by a company offering any service from resale, claims or relinquishment, or even found one on the internet and want to know if they are genuine, then use our contact page and Inside Timeshare will point you in the right direction. Remember doing you due diligence and homework will save you your hard earned cash. Inside Timeshare publishes members accounts of sales presentations. The last thing we want to do is throw out the baby with the bathwater, lumping a fine timeshare company like Disney, into the tub of timeshare companies we feel need to improve sales and marketing practices. 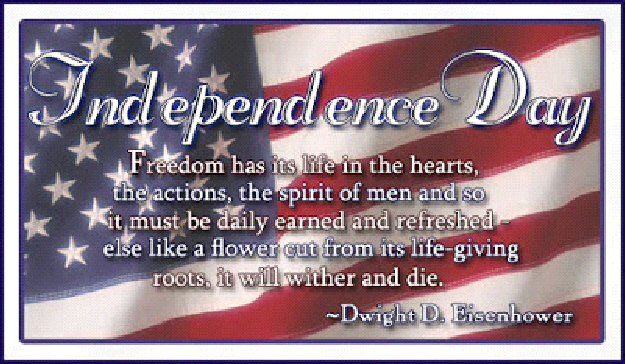 Now on to our U.S. British 4th of July edition of Inside Timeshare, submitted by John Collick and by Irene Parker. Tomorrow is the 4th of July, the day Americans celebrate Independence from …. England. England and the US were once enemies, but now allies and friends. If two countries can resolve their differences, maybe timeshare developers can heal their relationship with 483 angry timeshare families that have reached out to Inside Timeshare for help. Like freedom, customer relationships must be daily earned and refreshed. Four veterans share their allegations of deceit and frustration over the lack of timeshare enforcement. As you are aware, alleged verbal misrepresentations are very difficult to prove in light of the written documents and disclosures. In terms of evidence we rely on these documents to prove or disprove the allegations. The actions taken by other state agencies are not evidence of the alleged misrepresentations related to the sales transactions conducted in Florida. This is exactly why we need a media outreach campaign to let the consumer know how any complaint that begins with “The sales agent said….” will be received. In essence, the Florida Timeshare Division, DBPR, does little to stop the deceit. False verbal representations made by unscrupulous timeshare sales agents are allowed to continue unchecked. Repeat offenders receive awards. The Florida DBPR demands proof. What would be the proof? Florida is one of only a few states that require both parties be aware of a recording of an in-person sales presentation. Most states allow a consumer to record an in-person meeting without the other participant aware. The Consumer Financial Protection Bureau helped Wells Fargo victims, but timeshare members, even in the CFPB’s heyday, could not effectively file a CFPB complaint. This was because borrowers filing a CFPB complaint are required to select a lender from the CFPB menu. Many timeshare borrowers don’t even know who the lender is, as the timeshare company services their loan. A timeshare company is not a choice on the CFPB’s drop-down menu. We know there are millions who use and enjoy their timeshare points, but 483 families have described to Inside Timeshare how they were deceived by false statements and promises. Such tactics are illegal in the eyes of the FBI, described as white-collar crime – deceit, concealment, violation of trust, bait and switch. It is particularly disturbing to hear reports from 51 veterans, active duty military and law enforcement members. Several active duty military are worried about losing their security clearances due to timeshare foreclosure. Recent victims #50 and #51 are a police officer and a deputy. John Collick, First Sergeant, USMC (Retired), 100% disabled, shares his timeshare experience. John is working on an article about his timeshare experience that he intends to submit to the DOD Inspector General and to the Military Times newspapers: Army Times, Air Force Times, Navy Times and Marine Times. Angela Sandstede, her dad a Navy veteran, up-sold to $2,700 a month in timeshare loan payments, living on his letter carrier’s pension, now facing foreclosure. John has a long and distinguished career as an Intelligence Specialist, both as a Marine and a federal employee. John was a Terrorism Analyst for the Navy in the immediate aftermath of 9/11; later became the Coast Guard’s Senior Threat Analyst, where he wrote a protocol for identifying risks and threats in the maritime domain. When this was implemented in the Port of Boston, it saved the city, state, and federal governments several million dollars. The port recently used that protocol while conducting a live shooter drill, with success. John held a Top Secret SCI clearance for over 35 years; in addition to those identified above, he was also a Supervisory Intelligence Specialist at Immigration and Customs Enforcement, a Senior Intelligence Research Specialist, responsible for developing a process for vetting Syrian refugees at U.S. Citizenship and Immigration Services, and the Department of Defense HUMINT Issues Manager for Yemen. In this position, he was responsible for coordinating all classified activities concerning U.S. interests in Yemen. Using his experience as a Marine First Sergeant, Mr. Collick advised that the Navy Criminal Investigation Service, Army Criminal Investigation Division, Air Force Office of Special Investigation and Coast Guard Investigation Service are responsible for investigating crimes against their service personnel, especially if it appears endemic. Although it is usually accomplished at the base commander level, any of the military service headquarters have the authority to place any business on the “off limits” list if it appears that their business practices are hurting military personnel. If endemic throughout the country, the Joint Chiefs could do the same. John has been reaching out to active duty members and others, gathering reports for his research and articles. John is married with four kids; a 31 year old daughter, also a disabled veteran; a 27 year old son, an active duty Army officer; a 15 year old daughter in high school; and a 13 year old son, with Downs Syndrome, who has the mentality of an 18 month old. His personal awards from military service include the Meritorious Service Medal, the Navy and Marine Corps Commendation Medal, the Army Commendation Medal, Armed Forces Service Medal, Arctic Service Medal, Outstanding Volunteer Service Medal, Humanitarian Service Medal, Sea Service Deployment Ribbon, and Combat Action Ribbon. He was also awarded the Navy’s Civilian Commendation Medal, for his role in translating documents and identifying previously unknown terrorists in the aftermath of the September 11, 2001 attacks. It is my intention to reach out to the military and others in an effort to warn the military and the public at large that timeshare sales agents are, according to our experience, encouraged to make any false claim necessary to sell vacation points. We purchased our timeshare in Florida. We were told by a Diamond Resorts sales agent, that we needed to purchase Diamond vacation points to ensure our weeks owned at The Colonies in Williamsburg VA timeshare didn’t lose value. The salesman, Mr. Stephen Kim, stated this was necessary because Diamond Resorts was in the process of acquiring The Colonies. We had recently upgraded to four weeks at The Colonies, so had no intention of making further changes in our vacation program until we received this false information. Mr. Kim said the points would be much cheaper if we purchased before Diamond acquired The Colonies because after the acquisition, the price per point will increase significantly. It wasn’t until a year later, after we purchased a Platinum membership at Diamond’s Mystic Dunes in Florida, we learned The Colonies was not to be acquired by Diamond Resorts – or any other company. I filed a complaint with Diamond requesting the contract be rescinded. Diamond’s Hospitality agent responded, “Diamond is not responsible for what our sales agents say.” The FBI agents I spoke with, and attorneys have confirmed, hiding behind fine print is not legal, but with no enforcement, deception continues unchecked. We attended a mandatory orientation presentation at Mystic Dunes after our first purchase of Diamond points in Williamsburg VA. I asked sales agent Rida about Mr. Kim’s statement that Diamond was in the process of acquiring The Colonies. She said that she hadn’t brought it up because it hadn’t been made public. We were also told we could use our Diamond points for amusement parks, concerts, the theatre, airplane travel, etc., only to learn airline travel was the only item mentioned for which points could be used, but even that was of little value. All our timeshare experience has been with The Colonies of Williamsburg. They always told us the truth, not what they wanted us to believe. We have no desire to ever sell The Colonies of Williamsburg timeshare, but have every intention of ridding ourselves of Diamond Resorts. I work as a pension administrator. I was told the timeshare points I purchased were an investment. The first few purchases I made were based on the vacation experience but there is no question the last purchases were made because I was told the price per point had appreciated and was expected to continue to appreciate. My father, Roy Simmons, is a Navy Veteran. He had been happy with his timeshare points, but was up-sold to the point we are concerned about my parents losing their home if they have to file for bankruptcy. We made a YouTube hoping someone would listen and we will be reaching out to our Minnesota Attorney General, Lori Swanson. My dad retired on a letter carrier’s pension. My parents were up-sold to $2,700 a month in timeshare loan payment. My father, Raymond Mori, also a Marine veteran, earned two Purple Hearts. My parents were sold a trial package, despite being timeshare members of this company for years. When I asked the company to cancel the purchase, they would not talk to me, insisting they had to talk to my parents. They “fixed” it by selling them 17,000 more points. When I went with them to Las Vegas, the agents there tried to sell them $234,000 in additional points at age 83, while my dad was dozing off in his wheelchair. Had I not been there, I feel they would have signed. Whistleblowers of America reviewed several timeshare complaints reported by veterans and active duty personnel. They presented our timeshare fraud report to the Joint Committee of Veteran’s Affairs March 14, 2018. Anyone helped by our advocacy efforts is encouraged to make a donation to WoA. Thank you John and Irene, the number of complaints that we have received from military and law enforcement personnel is only the of the proverbial iceberg, there are many more who have had the same experience but have as yet not found who to go to. Inside Timeshare will continue to publish these stories, they may not be popular with the industry, but the 4th July is about the freedom to express yourself, if you believe you have been wronged then is in not your right to speak up? 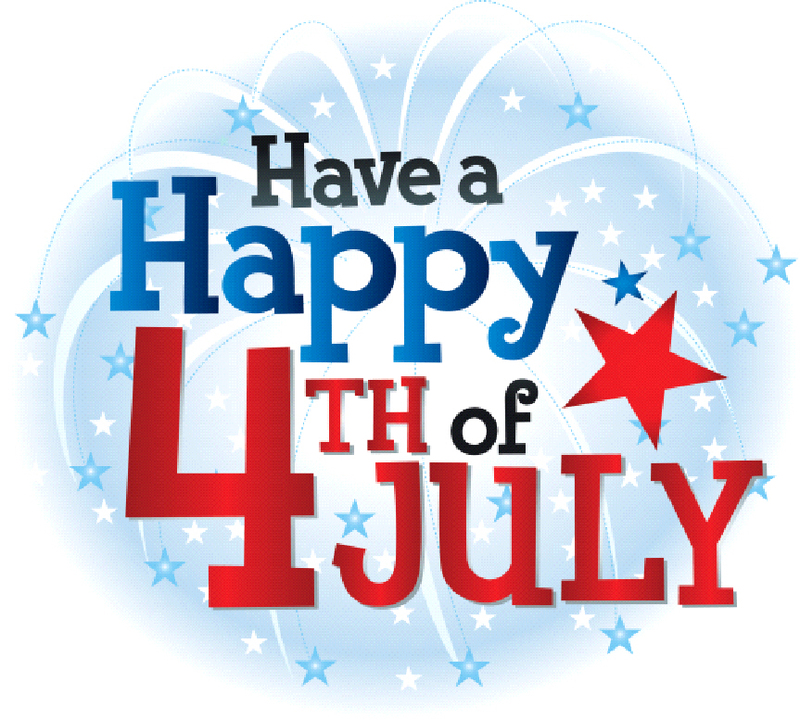 To all our friends and readers in the United States we from Europe wish you a very happy 4th July.